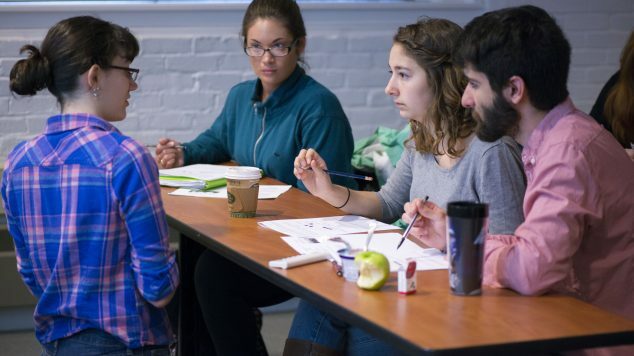 In conjunction with the Faculty Course Modification Incentive Grant Program, Maine Learning Assistants serve as peer instructors, facilitating group work and assisting faculty as they transform their course to incorporate more interactive-engagement and student-centered instruction. MLAs learn to use innovative, research-based instructional strategies, develop relevant pedagogical skills, deepen their content understanding, and have the opportunity to explore their interest in STEM teaching, while participating in a vibrant community of peers and faculty. MLAs are competitive paid positions, with a new application available for the growing list of MLA courses, each semester. For more information and links to the application, please visit the FIG-MLA program page. If you have any questions about undergraduate student opportunities, please contact Erin Vinson, the RiSE Center’s Campus Programs Coordinator, at erin.vinson@maine.edu.